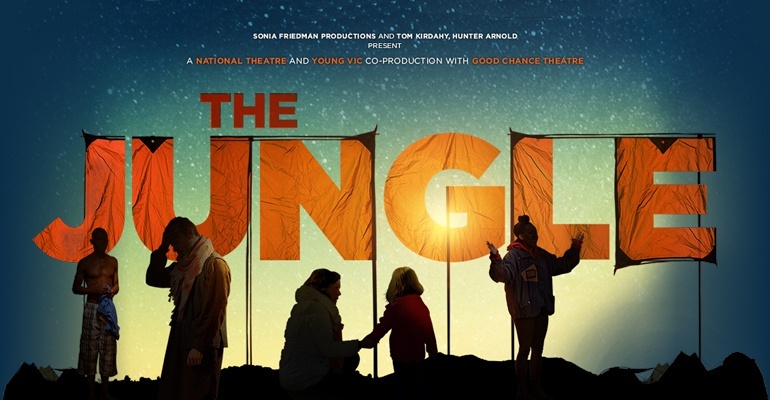 "a remarkably vibrant and vital retelling"
"stellar performances across the ensemble"
After a sold-out run at the Young Vic, Joe Murphy and Joe Robertson of Good Chance Theatre bring their acclaimed production of The Jungle to the West End. Playing a limited season at the Playhouse Theatre, the show sees the venue transformed to accommodate Miriam Buether’s immersive set design. A production about nationality, community and identity, The Jungle is a pertinent play that shares the stories of loss, hope and fear from the resilient residents of Europe’s largest refugee camp. Audiences are invited to join them in the Afghan café to split freshly baked naan and sip chai tea as emotive encounters are shared. Featuring the majority of the cast from the Young Vic run, the production is directed by Stephen Daldry and Justin Martin and runs at the London venue for a strictly limited season, from 16 June to 3 November 2018. May not be suitable for children. As a fresh overseas student in the United Kingdom, I have been very touched by this play. I laughed and I cried, I felt pain, sadness and happiness. It rendered me speechless. I wish everyone could see this. It changed my views upon many things. I'm hoping to see it again soon. Congratulations to everyone who is a part of the play! You have given me an unforgetable experience. Very RETRO. It is like the theatre that was being done in the 80's by the likes of Teatro Campesino, Anne Bogart, Jim Cartwright... For that matter, one could back to 1937 with THE CRADLE WILL ROCK. It is disheartening that this subject matter still exists. Overall remarkable craftsmanship. The only down side is the little girl in the show. One of the WORST child actors I have ever seen. I find it hard to believe that in all of London, they couldn't get a girl who can express emotion. She could be replaced by a doll and the performance would be the same. Still a must see event. Hopefully the West End will take note and take us back to the style of theatre of decades ago more. This play is amazing!! Its emotive and immersive style grips you in, I dare anyone with negative views towards immigrants to go and watch this play, and hang there head in shame while doing so. Honestly cannot recommend this enough! It feels as though you're right in the Jungle with them, sharing their hopes, dreams, tears and laughter. A MUST-SEE!! A truly inspiring piece of theatre - extremely powerful, informative and full of soul. It's a play that stirs up emotions and provokes questions - and will have you thinking about it for a long time after having watched it. A great way to build understanding and empathy between refugees and the wider public. I would recommend everyone to experience it!